Home / FAQ / Is it possible to find free HMO health insurance quotes? In this day and age of the Internet, it is totally possible to find free HMO health insurance quotes. All you need to do is start with a search engine such as Google or Bing, enter “free HMO health insurance” and you’ll find many different sites that will provide you with starting quotes for HMO health insurance plans. Alternatively, you could start with our free toolbox above! Simply type in your zip code and we’ll help you find health insurance rates from providers in your area. Once you get a selection of rates, you can contact each health insurance provider directly and get information that is more specific for HMO plans that they sell. This is because you might not be able to tell if the original free quotes, you receive are specifically for HMO plans, or any other type of managed care insurance plan such as a POS or PPO. However, all quotes and rates you receive, whether online or via telephone, should always be free. You should never have to pay to just get a quote. Even if you go to your local independent insurance agent’s office or call them on the phone, you still shouldn’t have to pay to just get HMO insurance healthcare quotes. Is HMO health insurance the right health coverage for me? Only you can make the decision as to whether an HMO plan is the right one for you, and any of your dependents. Everybody has their own personal situation, including their health and medical condition. You need to assess your medical health coverage needs, as well as the needs of any spouse or other dependents, and determine how much protection you’ll need. An HMO, or Health Maintenance Organization, is a type of health insurance called managed care. With an HMO, you will be given a directory of doctors and medical facilities from which you’ll need to choose a primary care provider. You’ll then see that primary health insurance provider for any medical issue you have, and they will write you referrals to see specialists if necessary. HMOs also tend to emphasize health maintenance and preventative care, so there’s a good chance your HMO plan will give you discounts on things like nutrition classes and fitness centers. 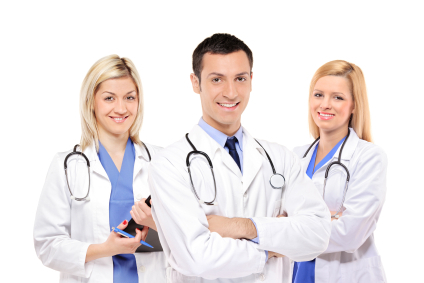 What other managed care health insurance solutions are there? Managed care solutions typically include three kinds of health insurance: HMO, POS, and PPO. In a POS plan, as with an HMO, you’ll be required to choose a primary care provider who will act as your primary point of service. This provider will provide you with specialist referrals but, unlike the more limited HMO, these referrals can include specialists outside of the POS network. As a policyholder, referrals in-network are usually reimbursed completely, while referrals out-of-network are typically only covered up to 80%. A PPO, or Preferred Provider Organization, allows its policyholders to see any doctor or facility that is in-network without having to designate any as their primary care provider or getting a referral. As with the POS, in-network healthcare providers tend to be fully covered, while out-of-network medical care is not fully reimbursed. PPOs, because of their greater freedom and flexibility, tend to be the most expensive type of the three managed care health insurance plans. How much can I expect to pay for an HMO health plan? You cannot compare yourself to a physically fit, 25 year-old single man who never smokes or drinks, and expect to have the same insurance premium as him if you’re a 54-year-old single woman who smokes a pack of cigarettes a day and has a family history of heart disease. Having said that, NH Health Cost, an official website of the state government of New Hampshire, keeps track of the average monthly premiums that HMO subscribers pay in New Hampshire. The website allows you to make comparisons for carrier HMO plans, and even see the different prices paid for individual HMO plans, small business HMO plans, and larger company HMO plans. For individual HMO health insurance plans, the monthly premium ranges from $234 to $901. This is a huge range, but you’ll most likely find that the plan at the high rate offers many more services and options than the plan at the lower rate. You can find more health insurance facts by state by going to StateHealthFacts.org, a website put together by the Kaiser Family Foundation. Enter your zip code below to see the health insurance quotes from providers in your area. What are some HMO health insurance companies?